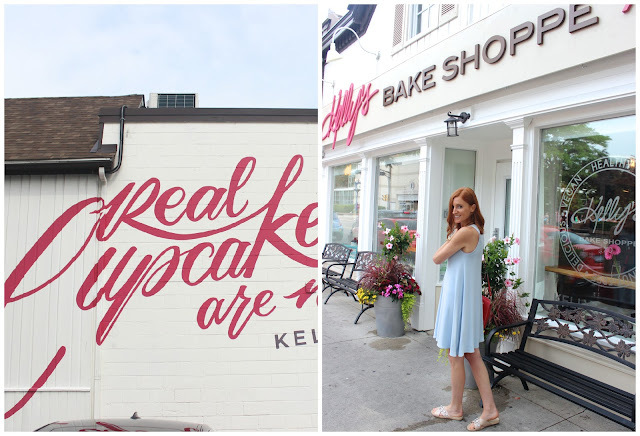 I have only recently discovered the magically delicious world of Kelly's Bake Shoppe and it's safe to say that I have since become obsessed with the baked goods that are crafted within this quaint and charmingly girly bake shop. 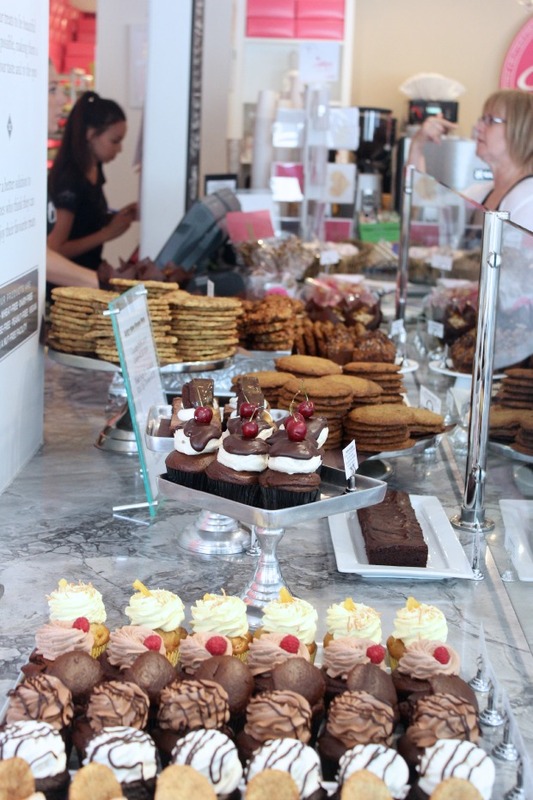 Located in Burlington, Ontario, Kelly's Bake Shoppe has without question mastered the world of healthy baking. It's really not easy to find quality bakeries that cater to so many important dietary restrictions, and truthfully, there is no other bakery I've found to compare their goodies too. Since I've had to personally deal with a few of these dietary issues, it became a quest for me to find baked goods that would not leave me suffering nasty side affects. It's here, at Kelly's Bake Shoppe, that you can completely indulge in healthier baked goods that are gluten-free, peanut-free, dairy-free, vegan, and -ready for the best part- they taste incredible. 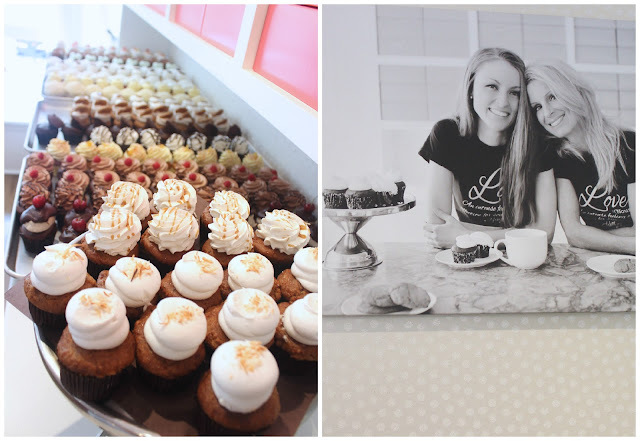 Mother-daughter team Kelly and Erinn started selling their out-of-this-world treats at their Burlington restaurant, Kindfood (now called Lettuce Love Cafe). Once the craze began and the awards came knocking, the duo opened up Kelly's Bake Shoppe, a destination strictly for their healthy and wholesome treats. You'll find all your favourites at Kelly's -- think cupcakes, cookies, cakes, donuts, muffins, lattes, and even soft serve!-- except all are overflowing with only organic and fair-trade ingredients, and are free from artificial ingredients. Kelly's Bake Shoppe sweetly gave me the opportunity to try out some of their wonderful creations. 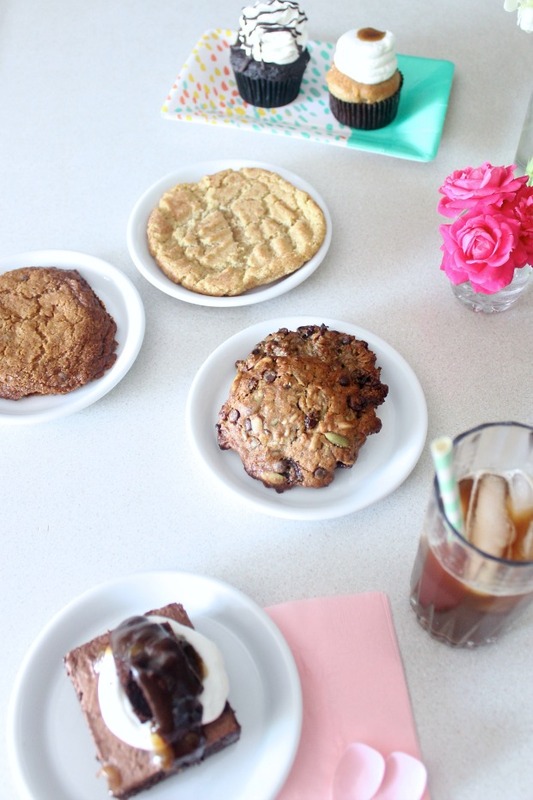 I called over my bestie, we brewed some ice coffee and spent the afternoon swooning over these treats. Keep reading to find out our thoughts. Upon entering Kelly's you become completely wide-eyed. Rows and rows of mouth-watering cupcakes, stacks and stacks of chewy, buttery (but not really) cookies, and even a large freezer filled with goodies to take home. It's just so pretty in there, I didn't want to leave! We arrived just as they opened, and already the customers were lined up. The ladies behind the counter are just as sweet as the goodies, chatting and helping customers make their selection, but really you can't go wrong! Be sure to check out the weekly rotation of cupcake flavours. Some examples are Sunbutter and Jelly, Lemon Coconut and Cookie Dough. They also features cupcakes of the month and for July it's a Pina Colada cupcake, and a Root Beer Float cupcake. I leave with their award winning caramel cupcake-- the Dulce de Leche, and a classic Black and White (chocolate ganache and vanilla frosting). The homemade caramel sauce literally oozes out of the Dulce de Leche. The cake is moist and the frosting is light and airy. How do they do it?! Next we go for the Mile High Brownie. I have been following Kelly's Bake Shoppe on Instagram for quite some time, and this decadent layered creation has been teasing me ever since! Another award winner, and it's easy to see why. It tastes better than any flour-filled, made-with-eggs brownie I've found at any other bakery. 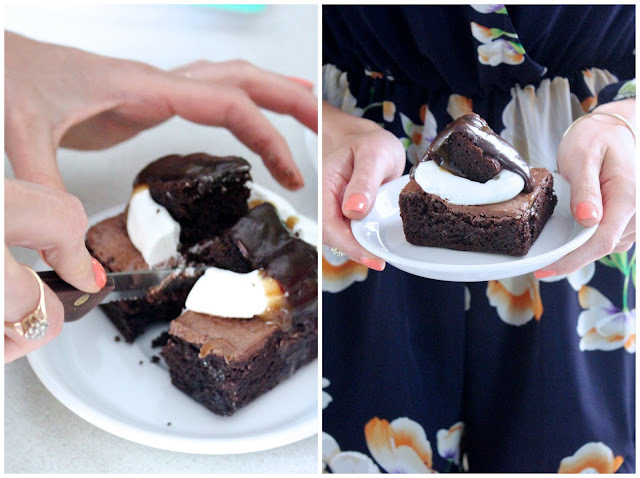 Ooey and gooey-- just how I like 'em, and layered with more of that delicious frosting, and another brownie. Complete brownie heaven. Next we move on to the cookies. I had been eyeing the Snickerdoodle since leaving the shoppe and I'm sure you can see why-- it's practically the size of my head. We break it in two and it's so soft. I love cinnamon so this is pure bliss for me. And it tastes so buttery! After that we dive into the Chocolate Chip cookie. It doesn't look like your typical choco chip cookie, but don't let that fool you; soft and chewy on the inside, crunchy around the edges, and it tastes….unreal. How can it possibly taste better than cookies made with eggs, flour and all those artificial flavours?! Cookies are my weakness and these two babies left me speechless. The World Peace cookie is a combination of all my favourite things -- seeds, berries, oats and chocolate chips. 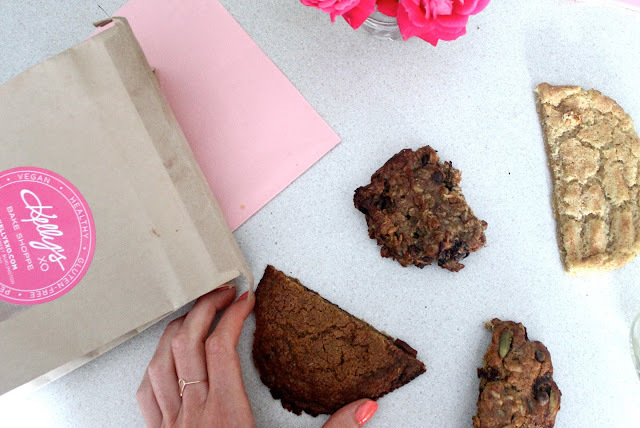 And the Skinny Cookie, which is sweetened with roasted bananas, well, I could eat that everyday for breakfast. Even if you don't have any dietary restrictions and are just looking to treat yourself in a kind, healthy and utterly delicious way, I encourage you to try out Kelly's Bake Shoppe. Not one bite will leave you feeling guilty or sluggish. So, you don't live near Burlington and you don't see yourself headed that way any time soon (it's a beautiful city, I recommend you do)? Talk about accommodating-- Kelly delivers all around the GTA, and as far north as Newmarket for only $15, when you spend $50. Get ordering! Thank you to Kelly and Erinn and all the lovely ladies at Kelly's Bake Shoppe! Can't wait to visit again! Kelly's Bake Shoppe is located at 401 Brant Street in Burlington, Ontario. OMG drool! I've been hearing so many good things about Kelly's Bake Shop, and this post has pushed me over the edge - I'm definitely going to give them a try! SO good! And it's only a minute off the QEW. Next time you are headed to Niagara-on-the-Lake I suggest you make the detour for some seriously delicious treats. Guilt-free sweets...Does it get any better?! Thanks for letting me taste test with you, can't wait to try some more :)!! This place looks amazing!! Caramel is my weakness so that cupcake is calling my name! Oh jeeze, Kris...It was divine! Homemade everything!! OMG now I definitely need to stop by here soon! 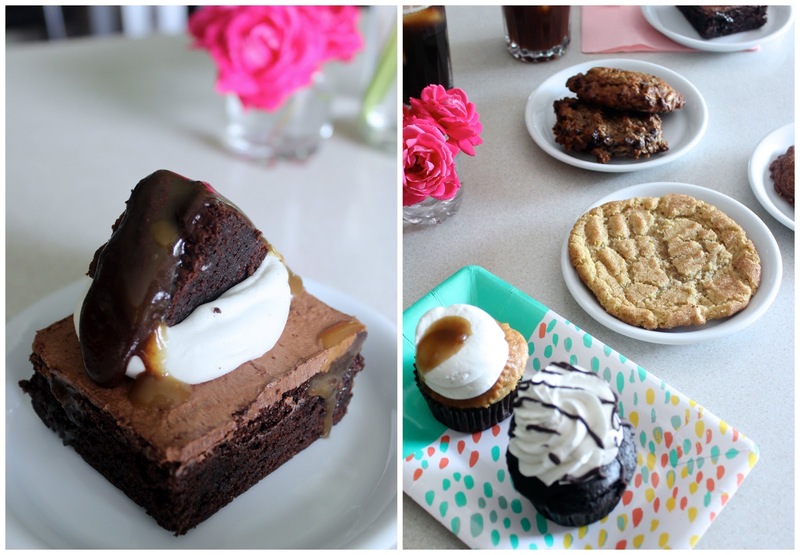 Drooling over everything especially that brownie!! Can't believe everything is vegan too!